Sierra Blanca Brewing’s lager is steeped with whole-roasted chiles, resulting in a mellow heat. 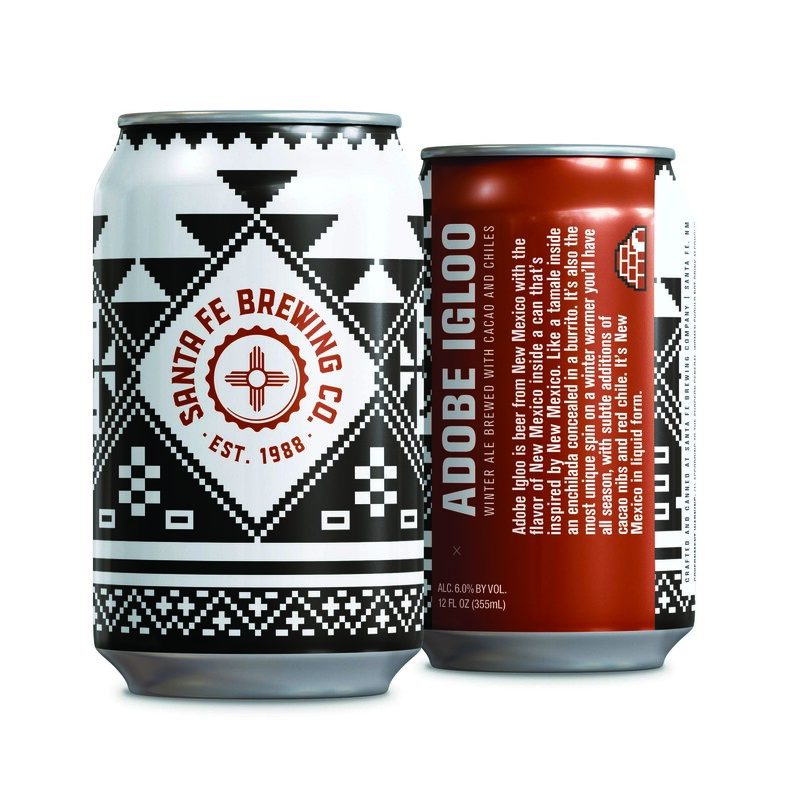 Adobe Igloo A winter warmer by Santa Fe Brewing comes infused with red chile flakes and cacao for a balance of heat and sweet (and the can’s seasonal bold pattern doesn’t even require gift wrap). Brew Ha Ristra This jammy stout with cayenne pepper from recently opened Cantero Brewing is perfect for thawing out after a day of skiing or snowshoeing in the Sandia Mountains.